One thing that is so great about this dish is how beautiful it looks. 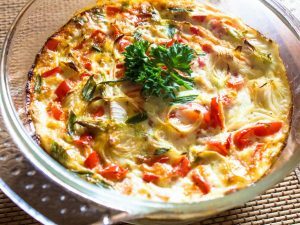 A whole meal is wrapped inside a pretty bell pepper shell and looks very impressive despite how easy this recipe actually is. 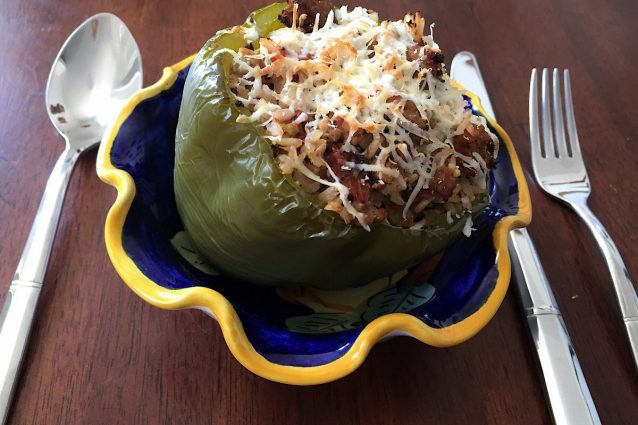 While there are a few steps to making this mouth watering dinner, they are all very easy and anyone will be able to make these tasty stuffed peppers. 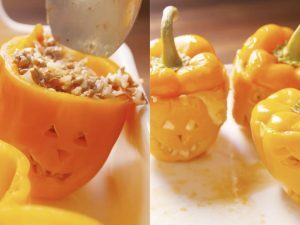 Cut off the tops of the bell peppers and remove the seeds and membranes from the center of the pepper. Place the peppers in a baking dish with the hollow side up. If the peppers are not standing up, slice of a tiny piece of the bottom of the pepper to make it level. In a large bowl, mix together the cooked beef, rice, 1 cup tomato sauce, Worcestershire sauce, garlic, salt and pepper. Stir to combine. Scoop the filling into the peppers, dividing it evenly between each one. Bake in a 350 ̊F oven for one hour, basting the peppers with the juice in the pan every 15 minutes. The peppers should be nice and soft. Top with the grated cheese and place the peppers back in the over for 5 minutes or until the cheese is nicely browned. -Substitute ground turkey for the beef in this recipe for a slightly leaner stuffed pepper.